I puffed out a sigh of relief as we walked out of LCCT’s maze-like halls and found our favorite spot, a gutter somewhere right in the middle of the terminal’s parking lot, holding some cups of coffee. It was a familiar territory. Me and my buddy have been to Kuala Lumpur many times for flight layovers and we kinda knew the city by heart now. It’s like going back to your native land after some years of separation. We roughly have 30 hours to spend here and we didn’t plan for anything for this certain stopover. We haven’t had a decent sleep for almost 24 hours now but at that point we weren’t longing for a comfy bed but a nice and a freshly made Mee Goreng. We hopped on a bus that’ll bring us to downtown KL and from there we scurried along familiar alleys to get into our home for two days. Our hotel this time is located along Jalan Masjid India, the Starpoints Hotel. We’ve been here before and it’s quite a familiar place; the bazaar shops, hawker stalls, legit gold shops and our favorite liquor store that offers cheap local beers. There’s no time to waste, we immediately stowed our stuff in our room and scanned the hawker stalls around the area for a quick bite. 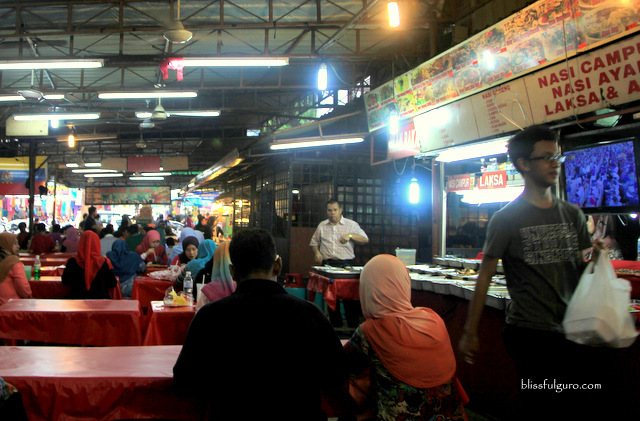 Just a few meters away from the hotel is a space allotted for a number of hawker stalls. We quickly skimmed through the food stuff and settled for some Nasi Ayam (Roasted Chicken dish with rice and soup), Mee Goreng (Stir-fried noodles) and two glassfuls of Kopi Ice (RM 13.50 for everything). The Nasi Ayam was just ok and the Mee Goreng wasn’t that good compared to the ones we had at Bukit Bintang but the Kopi Ice was very refreshing. For dinner, we went to Chinatown and searched for a unique treat. 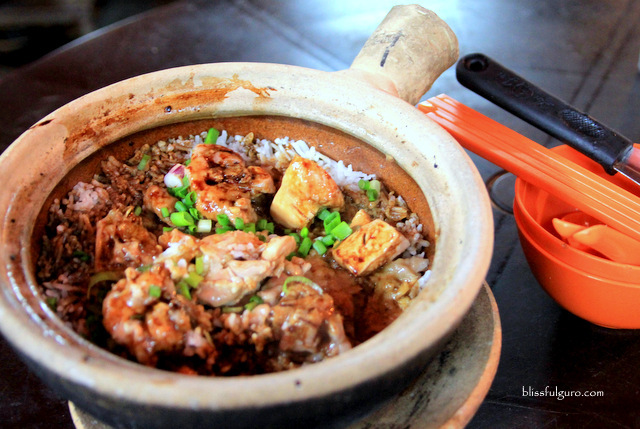 We bumped into a stall that specifically serves Clay Pot Chicken Rice dish. 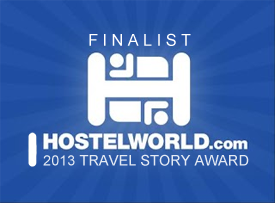 This is quite interesting for we’ve been here quite a few times but rarely do we see such fare. 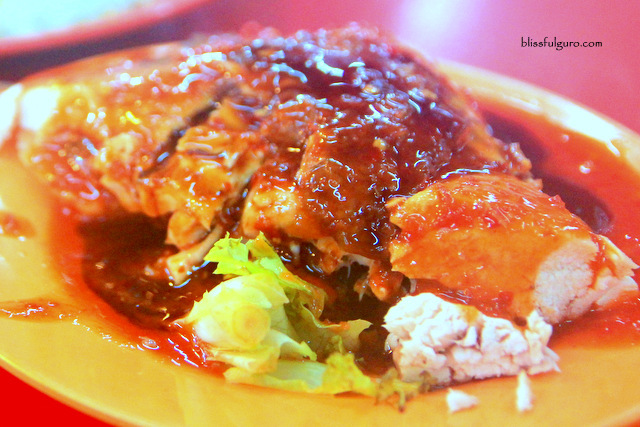 We had a regular size of their famous Clay Pot Chicken Rice for sharing (RM 10). It’s great. The tasty marinade of the chicken and other spices are incorporated into the fried rice which makes it more scrumptious. The clay pot technique was also phenomenal. It kept the dish very warm for that fresh and yummy bite every time. We wanted to have more but we were saving some space for other food stuff around the area. 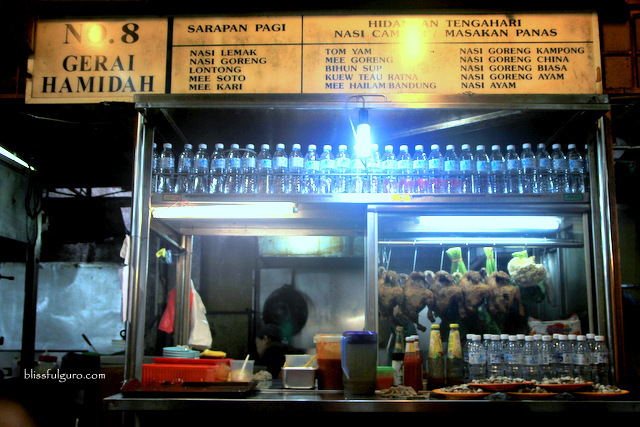 We scouted more in the area of Jalan Petaling and saw this food stall the serves fresh hot beef noodles. 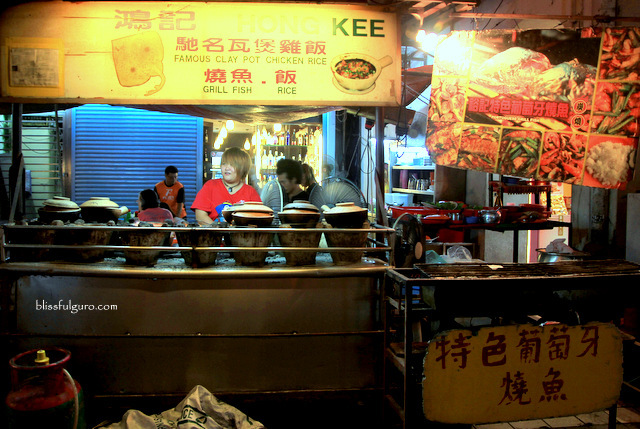 This no fuss, in-your-face noodle stall is totally legit. The meat innards, some processed meat/seafood balls, fresh noodles and other garnishes are spread out into the huge cart and you could pick out what you don’t like into your noodle soup. Legit noodles in the house! As hard-core as we can be, we didn’t leave anything out and asked the very pleasant lady to dump everything into our soup. Our happy and loaded bowl of beef noodles (RM 7) was very refreshing. 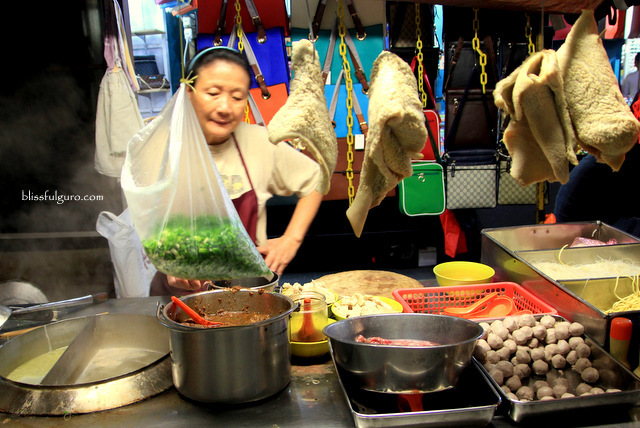 The meat innards and processed meat are not overwhelming the freshness of the noodle itself. The meat balls are so yummy! 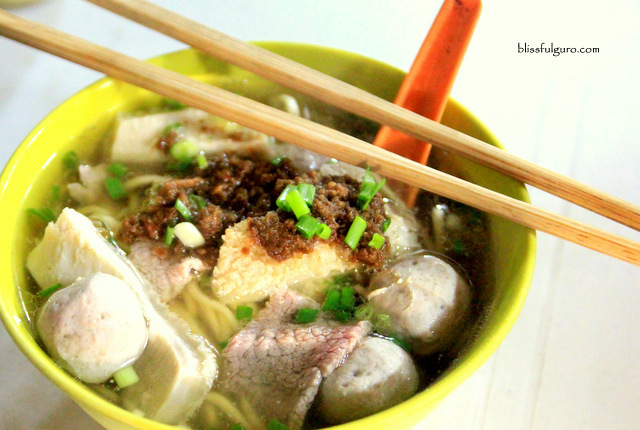 Beef noodles with processed meat and seafood balls! And as if we’re not yet full, we headed to another stall, still in Jalan Petaling, for a quick bite of my favorite Roti Canai (RM 1.50) and Kopi Ice (RM 2). I wasn’t happy with the Roti this time. It was oily and not that chewy as I want it to be. 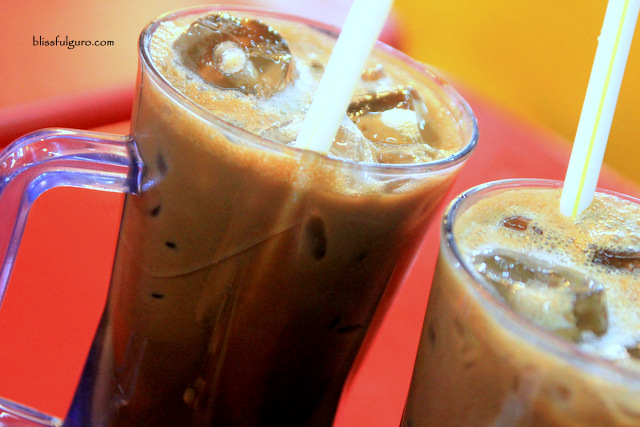 The Kopi Ice was the saving grace for this part of our food trip. 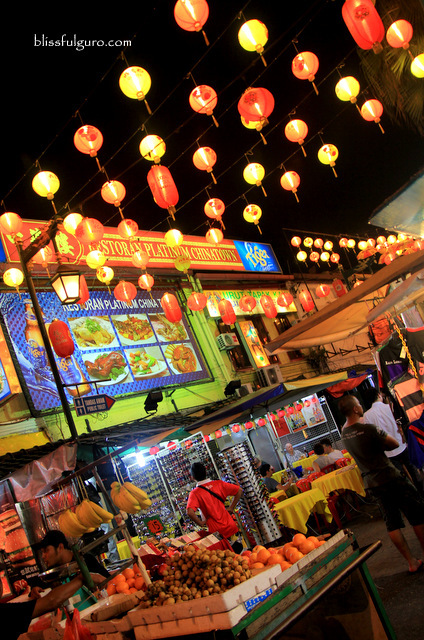 We were so full after the fun food trippin’ that we decided to walk our way to our hotel in Little India, yes, Chinatown to Little India. The stroll was pleasurable because of my buddy. We were joking around while crossing the streets and discovering new alleys and streets on our way back. We love getting lost; it keeps us sane most of the time. We really love KL and the surprises unfolding every time we’re there. 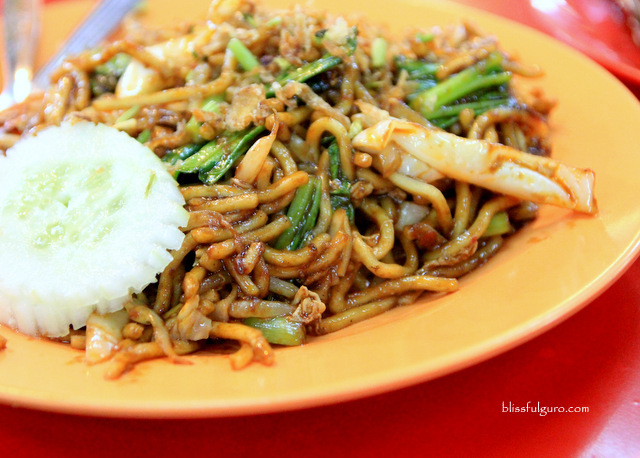 Although we haven’t explored much of the city (guilty of using KL as our hub for other flights around Asia), we love it as much as we love Mee Goreng. And with that, we’re ready for the next destination… Nepal! Hi teacher carla. I have tried the chicken claypot in Hong Kong but it looked pale. Walang spices. 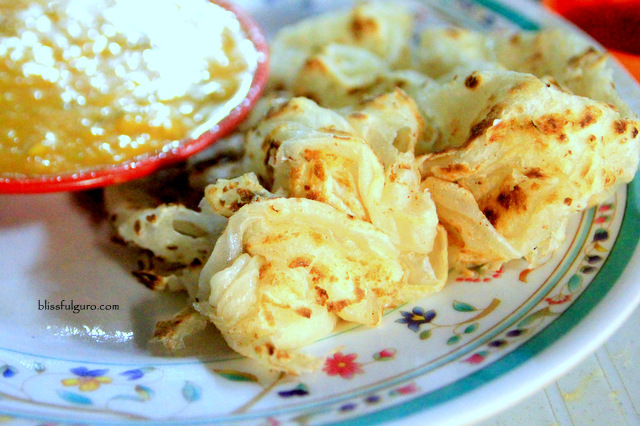 Maybe when i go back to KL, i will try that.